You have scrutinized their specifications in detail; you know previously the Mac Generation tests, but nothing to do: you cannot decide for this iMac model over another. Perhaps you hesitate between 21.5 "and 27", and indeed between the "low" end and "high" quality, not to mention the SSD option. Here are some items to help you choose. The choice of screen diagonal is perhaps not the easiest choice: Apple has smoothed its range even more than usual, and there is now no difference between the major design iMac 21.5 "and 27" iMac screen ... apart. Both models have four memory banks PC3-10600 (1333MHz) DDR3 SO-DIMM and can accommodate a SSD in addition to their hard drive (except the first 21.5 "), while the model 27" was previously advantage. 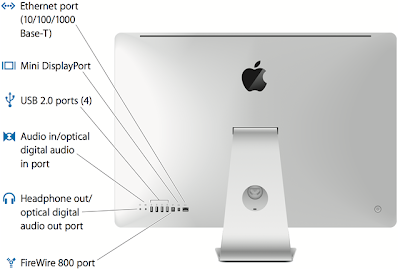 The only material difference is iMac 27 "Thunderbolt have two ports, the iMac 21.5" have only one. Segmentation is a much more quiet than before: the model of 21.5 ", you can have a 2.8 GHz Core i7 optional, but the 27" you can go up to 3.4 GHz. The iMac 21.5 "is limited to a graphics card with 512 MB VRAM, but you can get the side of the Radeon 6970M and 2 GB of VRAM with the 27". The iMac 27 "is indeed what it takes to feed all that beautiful world (310 against 205 W for 21.5 W"), but the differences end there: there is no hole in iMac range between entry level and a weak heart but more powerful range of flying a bit too fast in the price range. The heart of the range, in fact, now consists of what is in fact a single machine available in two screen sizes: an iMac Core i5 Quad 2.7 GHz, 4 GB, 1 TB of disk and Card AMD Radeon HD 6770M with 512 MB VRAM. You will pay € 200 while the 5.5 "diagonal. The Growth of Apple Store in U.S.
What is a pro for Apple?